I made a ton of these dinky stars a while ago, they were originally intended to decorate a garland but they didn't look quite right and so they've been hanging around the house ever since waiting for some love and attention. They are looking mighty fine though eh? 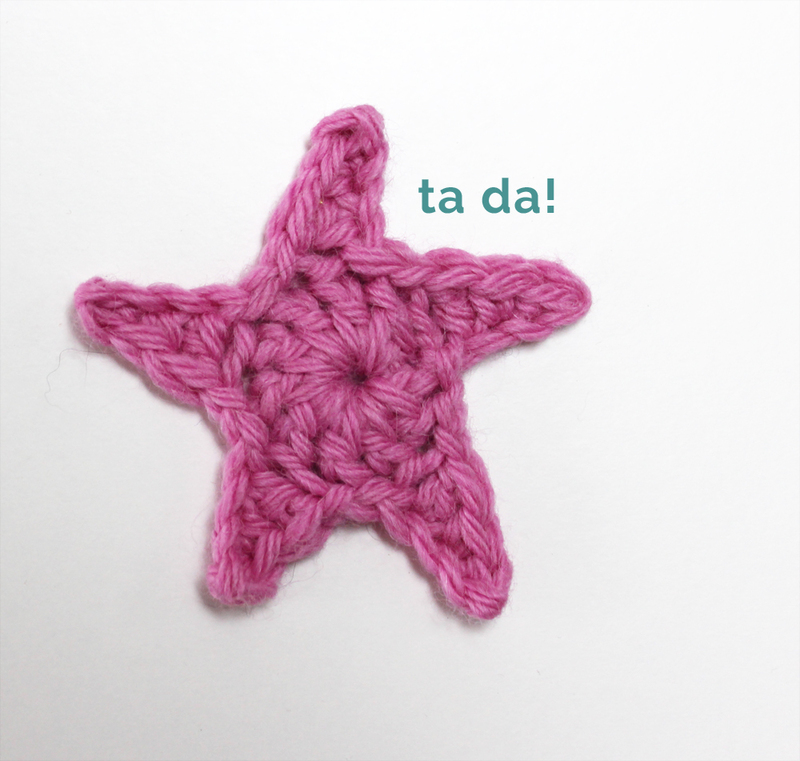 Here's the pattern and a picture tutorial too, all UK terminology yo! 1. Chain four. 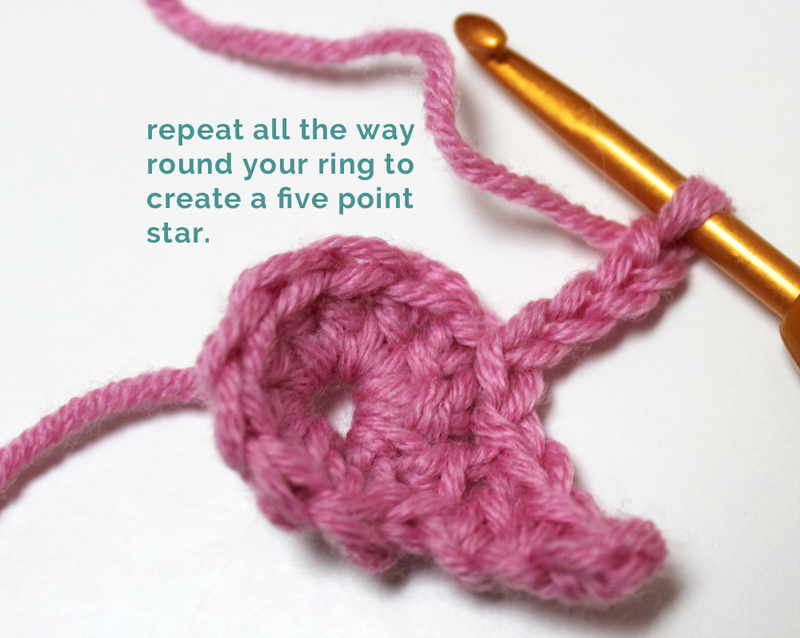 Join with slip stitch to form ring (or magic circle if you prefer). 2. Chain 3. 9 trebles (tr) into ring, join with slip stitch top of beginning chain 3 (10 tr). 3. *Chain 4. 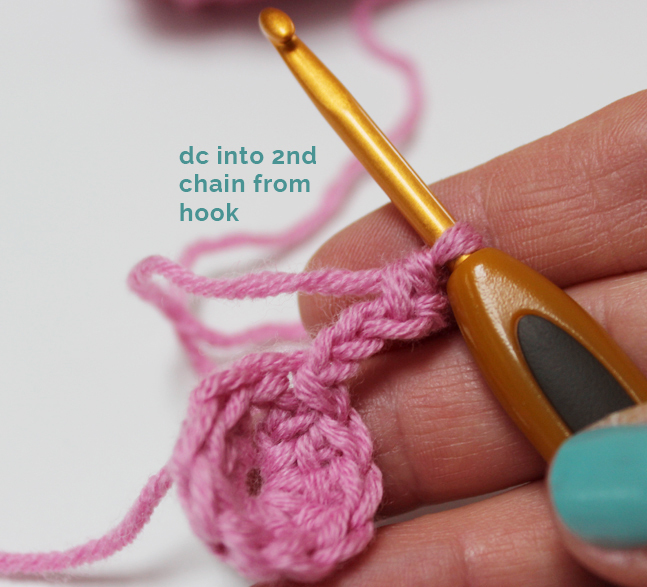 1 double crochet (dc) into 2nd chain from hook, 1dc into next chain, 1tr into fourth chain from hook. 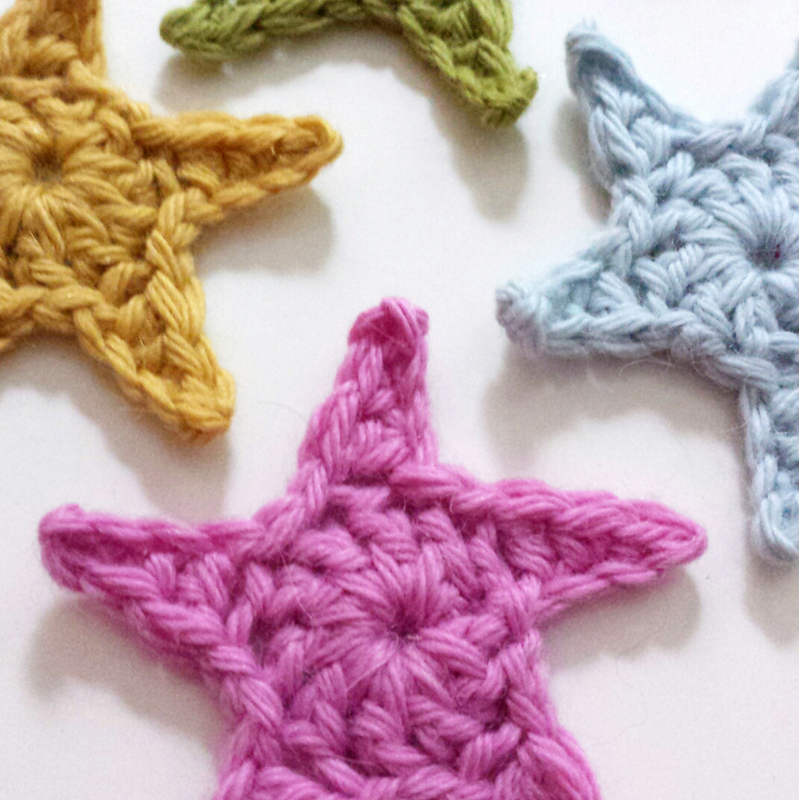 Slip stitch into next stitch along to form first star point. 4. Slip stitch into next stitch and repeat from* four more times. 5. Join with a slip stitch into bottom of first chain 4. Easy enough? Slightly addictive being that they are so small and perfectly formed. Let me know how your star making goes and leave a comment if you have any questions. Remember: Reach for the stars kids.